Fifty years is a very long time to be continuously operating as a not for profit club and it is certainly well worth celebrating. 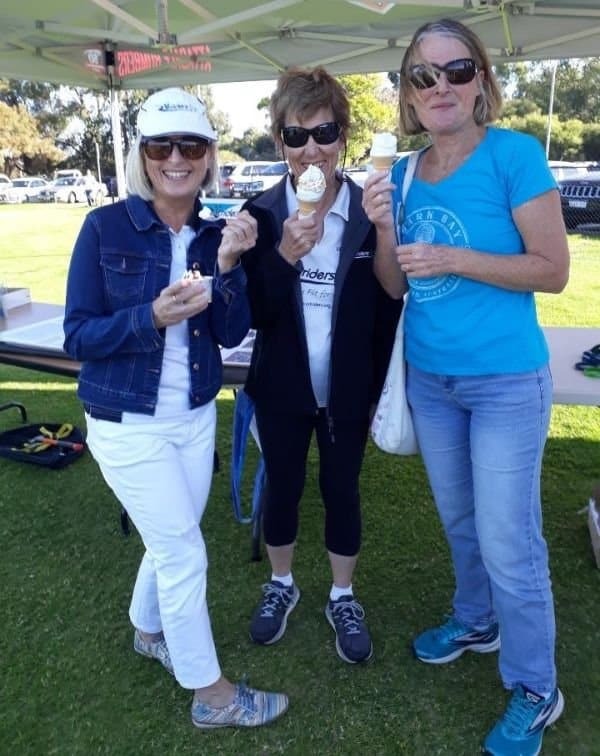 To celebrate their milestone, Attadale Junior Football Club hosted a free community event, featuring a BIG screen broadcasting live the West Coast Eagle versus Collingwood football game, free rides for the kids, food, fireworks and much more. Y Striders were excited to be able to take part in the celebrations by setting up an information booth for the purpose of promoting the club. As a club, we were well represented and chatted to a few people, even though the demographic at the event wasn’t really for us. It is all about getting the word out there and every little bit helps. We were positioned next to the Beyond Blue marquee and they have kindly offered to include us on their website. Once again it was Kevin and Pam who set up at the start of the event and packed away at the finish. Their tireless efforts in promoting our fabulous club are very much appreciated – many, many thanks. Thanks also to Deb and Andy R, Leonie H, Kerrie T, Ann R and Jatinder A who very kindly gave up a few hours of their time to hand out brochures, chat to people or to have an ice-cream.